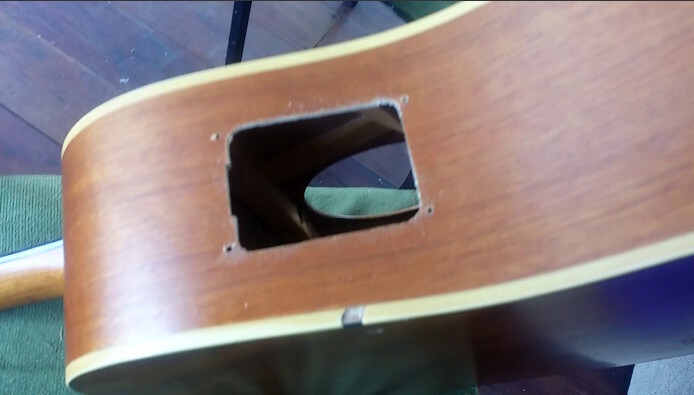 In this blog I show how I installed a Fishman Presys Blend Onboard Preamp in my Takamine GS330S Dreadnought acoustic guitar. 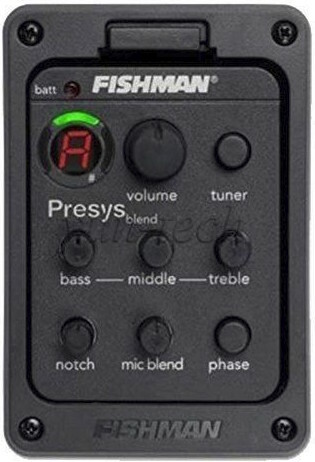 Buy a Fishman Presys Blend Onboard Preamp. I got mine on Ebay for $22.00 NZD. 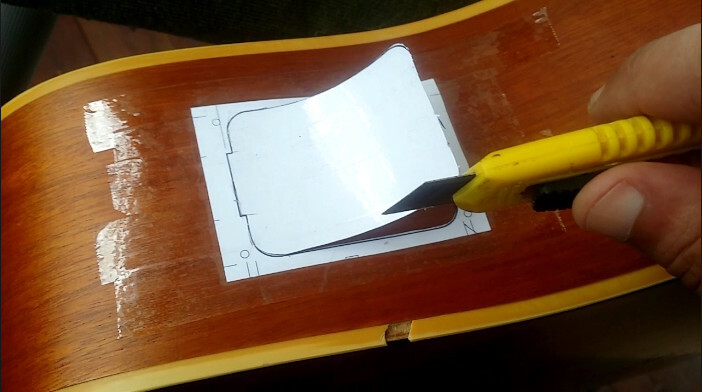 Download preamp template for cutting the hole: click here. 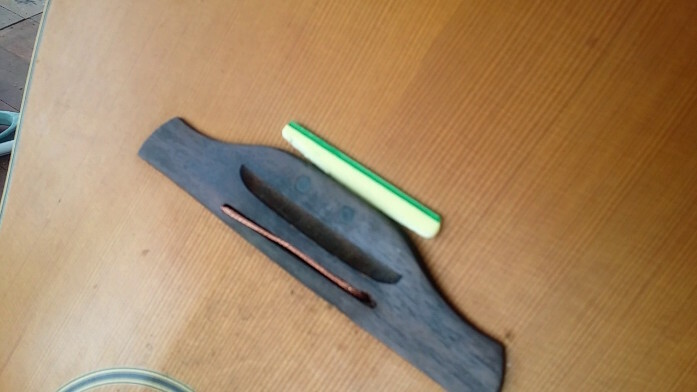 Remove strings and bridge from the guitar. Install jack output socket - much easier to do if you have a jack plug taped on the end of a wire. 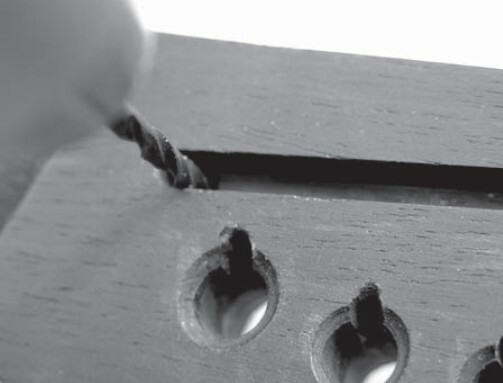 Drill a 2.5mm hole in the left oside of the Saddle Slot. Refer to this detailed guide. 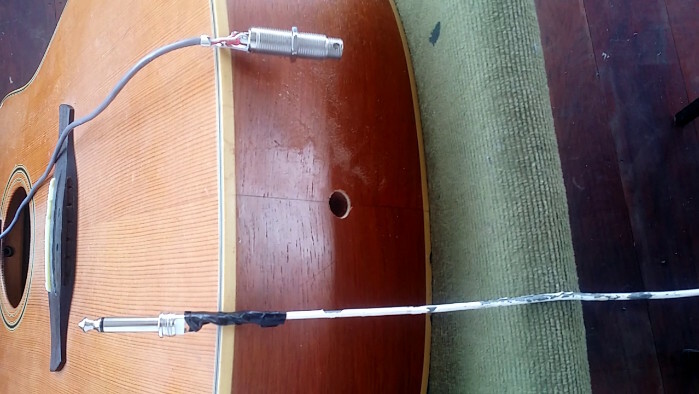 Add strings to guitar, tune and test.